I was talking to my sister the other day (mother of 5 kids, my kidney donor, I share more about her awesomeness here) who loves to cook but said these last two weeks of school are just as busy or even busier than December so quick and easy meals are a must. So I am so excited to share this 30 minute Chicken in Coconut Mango Verde Sauce that is super quick and easy without sacrificing any flavor! This celebration of flavor starts with a quick stir frying of thinly sliced chicken breasts. 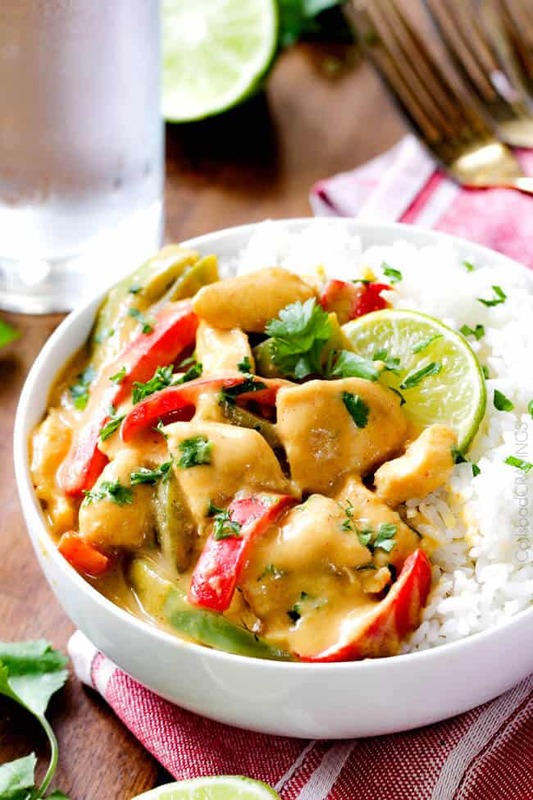 I first used thinly sliced chicken in my all time favorite Panang Curry, and love this cooking method! (and btw, made my Panang Curry last week for my little brother and his fiance – SO GOOD! you have to make it if you love Thai food!) 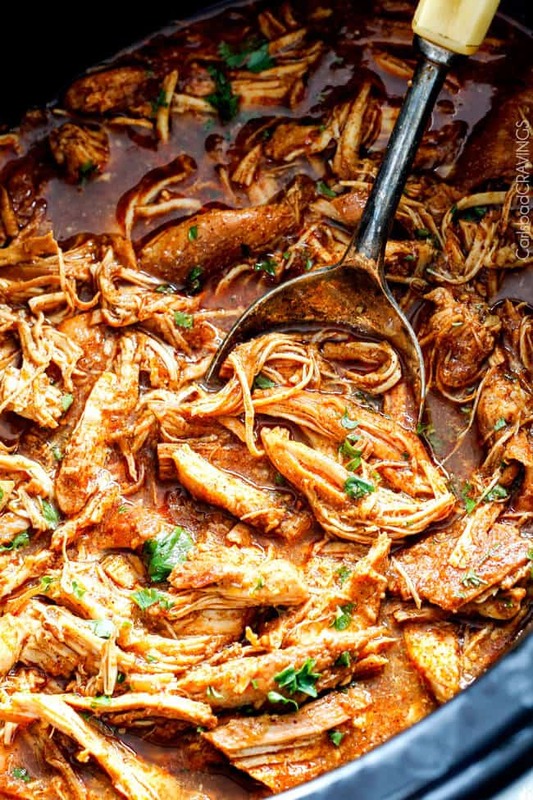 The chicken remains so tender and soaks up all the flavor of the sauce so there is no need to marinate the chicken beforehand. I recommend slicing your chicken breasts when they are partially frozen – so much easier. You could even prep your chicken and your veggies beforehand if you want then this meal really would take minutes to throw together! 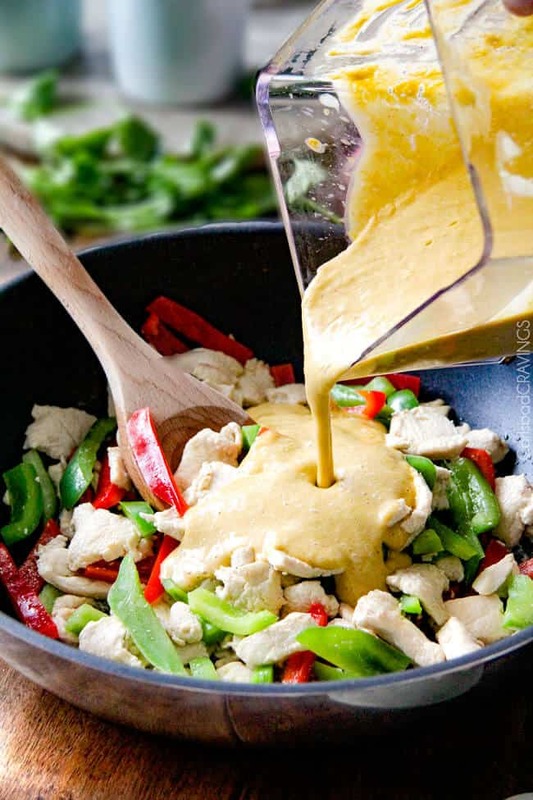 After you stir fry your chicken for a few minutes, then you add in your bell peppers and stir fry for a minute more then comes the smothering in the most intoxicatingly delicious Coconut Mango Verde Sauce. 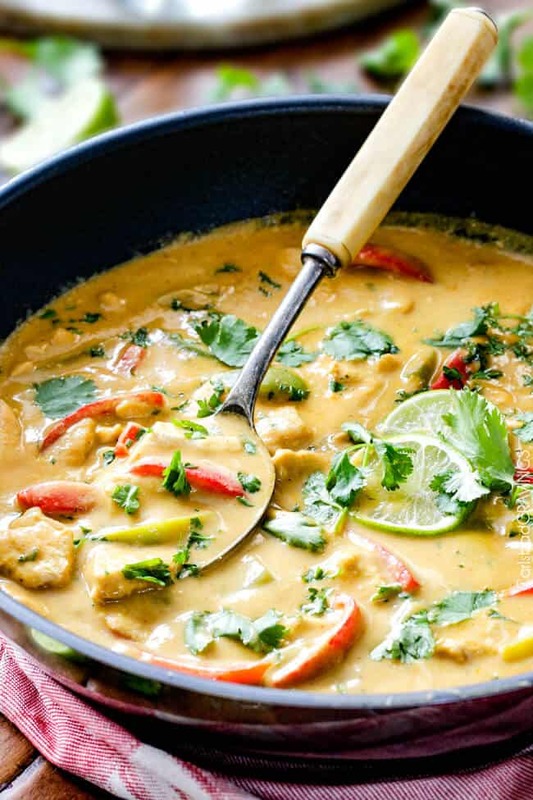 I am obsessed with mangos and have been wanting to make a coconut mango sauce for a while, but instead of taking the traditional route and combining it with red curry paste, I blended it with Salsa Verde Sauce instead – sheer dreamy, creamy addictiveness. And if you are intimidated by cutting mangos – do’t be, just check out my How to Cut A Mango Post that teaches everything you could ever want to know about mangos! So while this dish might appear Thai with the thinly sliced chicken and veggies and the coconut milk, it has more of a Mexican taste with the addition of the salsa verde, cumin, chili powder, smoked paprika and jalapeno to the mega creamy, sweet, tangy, spicy as you want, can’t-stop-eating-sauce that I am giddy for you to try. And love. And make. Often. 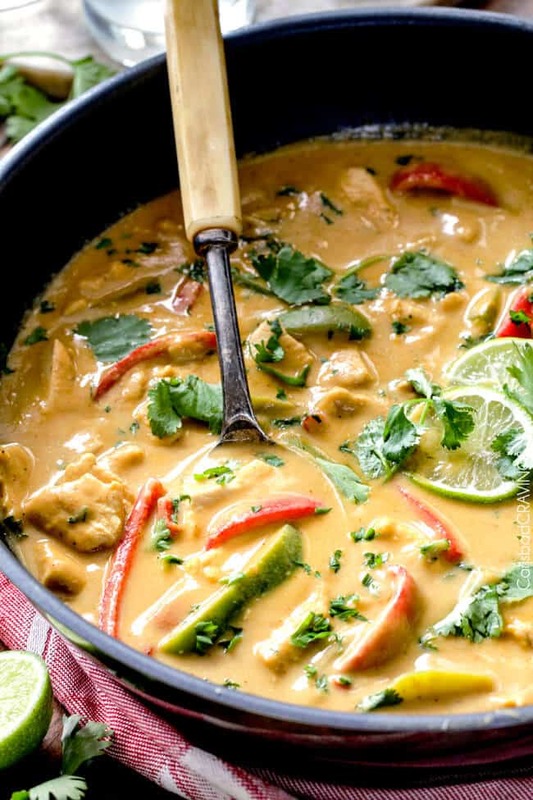 30 Minute Chicken in Coconut Mango Verde Sauce. Quite possibly the dreamiest meal to come out of your kitchen in 30 minutes! 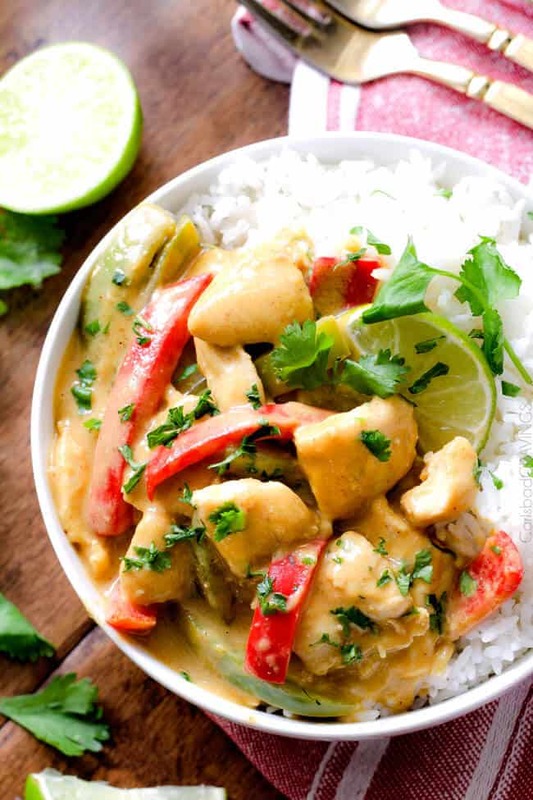 Want to try this Chicken in Coconut Mango Verde Sauce? 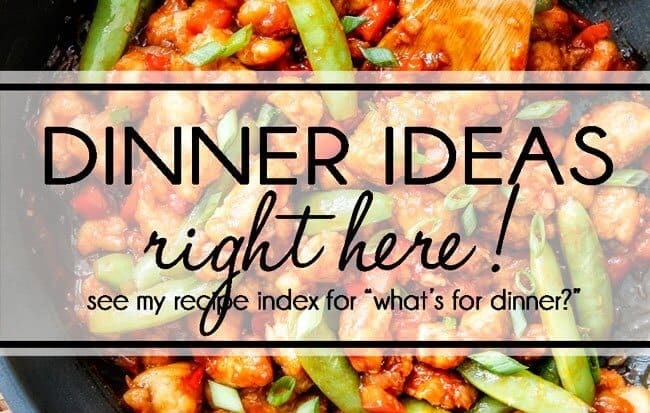 Pin it to your CHICKEN or 30 MINUTE MEAL Board to SAVE for later! 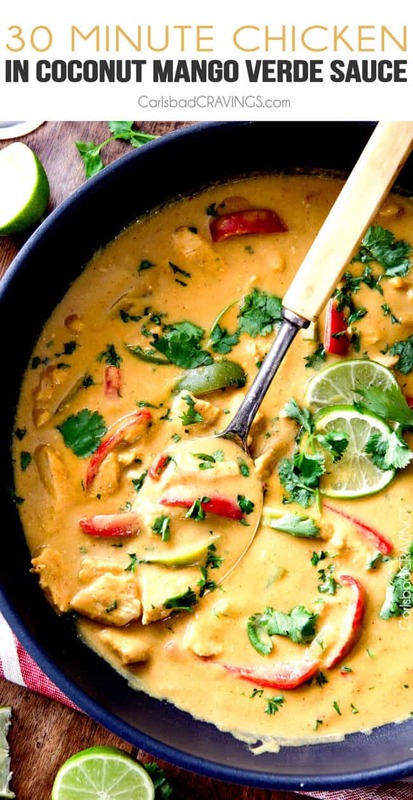 Add all of the Coconut Mango Verde Sauce ingredients to your blender and blend until smooth. Set aside. Heat oil over medium high heat in large nonstick skillet until very hot. Add chicken and cook just until most pieces are no longer pink then add bell peppers and continue to cook for 2 minutes. 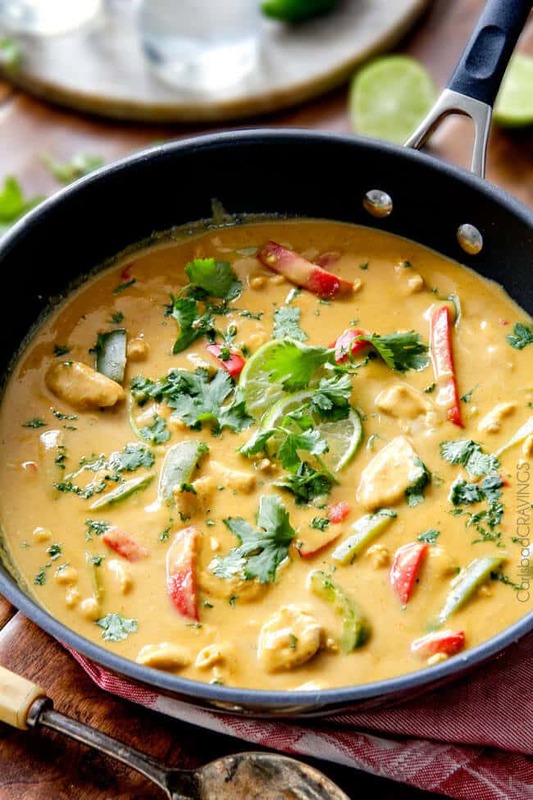 Stir in Coconut Mango Verde Sauce and cook just until chicken is completely cooked and sauce is heated through. Taste and add additional brown sugar for sweeter, Sriracha for spicier or lime for tangier. Garnish with optional fresh cilantro. Serve with rice. *Chicken is much easier to slice if partially frozen. It will thaw quickly once sliced. You can slice your chicken and red bell peppers in advance for even quicker meal prep. **I would start with 3 tablespoons brown sugar and add more to taste at the end -the amount will depend on how sweet your mangoes are, how sweet you want the sauce and how spicy you want it (more brown sugar to balance more sriracha). I use all 5 tablespoons because I make the sauce quite spicy. Made this dish this evening! Heaven, absolutely delicious. My husband asked if I’d make it next week as well. yessss! I’m so happy it was a winner with you both! Thank you so much Star! I was skeptical about this at first – I wasn’t sure how the combination of mango and coconut milk and salsa verde would taste blended together but OH BOY was it delicious. The bell peppers are really delightful with the sauce. 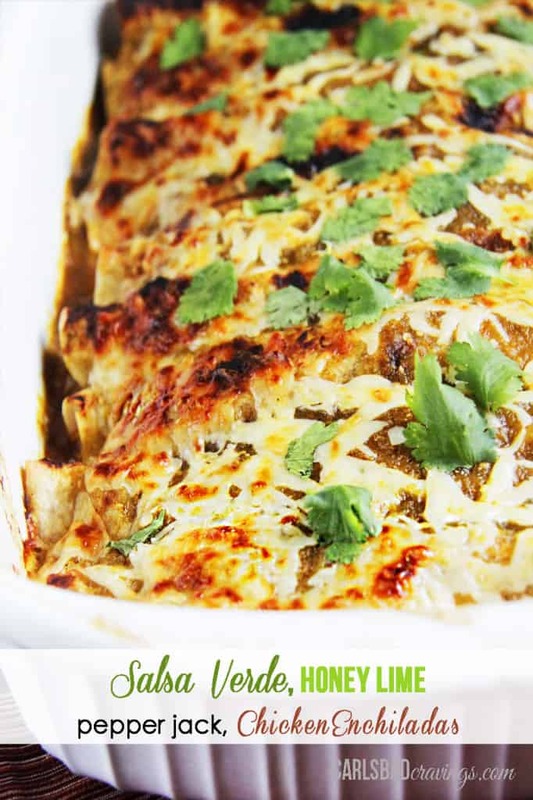 I never comment on recipe blogs, but I just had to mention how much my husband and I liked this one! (Plus, it was a great excuse to use my hand blender for the first time). Wahoo! I’m thrilled – and relieved – this recipe did not disappoint! I love matching unexpected ingredients together for some magic ) Thanks for taking the time to comment Josephine! I added a can of salad cut Heart of Palm and also a can of white beans to up veggie and protein. Also upped the chili powder and smoked paprika and served it over brown rice mixed with sauteed julienned kale with a couple cloves of minced garlic incl. Made this tonight because I got brave and bought a ripe mango on sale. I was excited to try the seemingly odd combination. It turned out great and I’ll make it again. I don’t eat red peppers, so I substituted sliced onion (which I charred a bit before the chicken). I think it was a great counterpoint to the sauce. Thanks for a great recipe! You are so welcome Lynn! I’m so pleased you got brave and ending up loving this unique combination – and your charred onions sound fabulous! Made this today as written but for using all red and no green bell pepper. Would have used another jalapeno if I had it; added sriracha and still wanted more heat without the acid, so broke out the cayenne and it did the trick. Next time I might add a poblano with the chicken and bell pepper, perhaps roasting them first. I did put some fresh, warmed pineapple on the plate, but that added too much acidity, so maybe broccoli or zucchini next time. Thanks for sharing this. You’re so welcome, I think poblano would be fabulous next time! This was perhaps even better the next day! I was out of chili powder, unfortunately and I’m wondering how much better/different it is if I had had it. I’m so happy you loved it and yay for fabulous leftovers! The chili powder will add another dimension of flavor but I’m glad it was great without it! We don’t have Salsa verde in a jar here in Australia, any suggestions on what else I could use?